Mark S. Bonham is a Senior Fellow of Massey College, University of Toronto in Toronto, Canada. He received his M.Sc. (Econ), with a focus on Capital Markets Theory, from the London School of Economics (1986), a B.Comm. from the University of Toronto (1982), and is a Fellow, Life Office Management Association (1982). 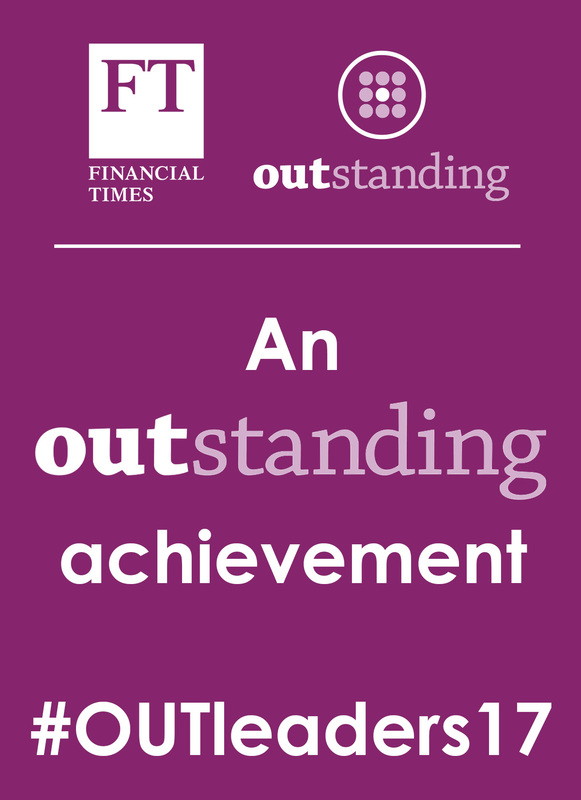 Mark was included in the Financial Times of London (UK) OUTstanding LGBT Global Business Leaders list in 2017. After an extensive career in the Canadian financial industry and having founded two successful mutual fund companies in Canada, Mark is completing his financial book A History of the Canadian Financial Industry, 1900 to Present. 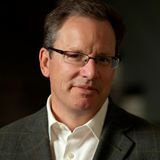 Mark has endowed several Chairs in Finance and a two-year full graduate scholarship for MBA students at the Rotman School of Management, University of Toronto, in Toronto, Canada. Today, there are 19 Bonham Scholar graduates that are active alumni of the school and the business studies program. Mark is a contributor and author to The Canadian Encyclopedia on the subject of the financial industry. A member of the Board of Directors and co-founder of the Canadian Business History Association (CBHA/ACHA), Mark has edited the CBHA/ACHA book Becoming 150: 150 Years of Canadian Business History (University of Toronto Press, 2018). Mark is on the Board of Directors, and is Chief Fundraiser, for the children’s charity We Are The Villagers. The organization provides funding to children of low income families in northern Ontario to allow them to participate in extra-curricular sports and arts programs. Under Mark’s fundraising leadership, WATV has grown from 165 children and $40,000 in funding (2014) to $175,000 and 425 children located in 19 communities (2017). 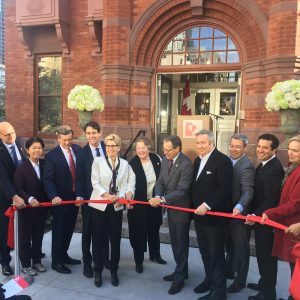 Mark Bonham and Kathleen Wynne, Premier of the Province of Ontario, cut the ribbon to officially open the Casey House Hospital in November 2017. An active member of the LGBTQ community, Mark has endowed the Mark S. Bonham Centre for Sexual Diversity Studies at the University of Toronto. He co-chaired the successful $12 million capital campaign to create Egale Centre, the city of Toronto’s first LGBTQ homeless youth shelter, which is now under construction with a planned opening in late 2018. The Casey House Hospital (an AIDS-specialty hospital) in Toronto expanded with a lead gift and the leadership of a capital campaign by Mark and opened its doors in 2017. He is the author of three books to date: A Path to Diversity: LGBTQ Participation in the Working World (University of Toronto Press, 2017); Notables: 101 Global LGBTQ People who Changed the World (University of Toronto Press, 2015) and Champions: Biographies of Global LGBTQ Pioneers (University of Toronto Press, 2014). Mark is a co-founder and Managing Editor of the online biographical encyclopedia QueerBio.com, a source of biographical information on over 15,000 historical and contemporary LGBTQ individuals from around the world in the categories of sports, business, the arts & entertainment, literature & poetry, activists, politicians, and much more. In 2017, QueerBio.com had over 4.2 million page views! Mark is also the Board Chair of the Toronto Botanical Garden. As such, he is leading the team on a $52 million expansion of the garden which is destined to make it a pre-eminent cultural and tourist attraction for the City of Toronto. In 2017, Mark joined the City’s Ravine Strategy Leadership Board. He is the recipient of numerous awards and honours, including the Inaugural Alumni of Influence Award from the University of Toronto (2012), the Clarkson Laureateship in Public Service (2016), the MCC Hope & Freedom Award (2012), was named an OUTstanding LGBT Global Business Leader for 2017 by the Financial Times of London (UK) in 2017, and is a Member of the Group of 175, being the 175 most influential graduates of the University of Toronto (2002).